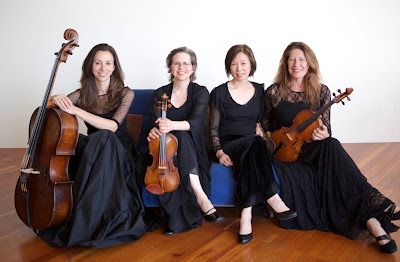 The Bridge Piano Quartet originally began as the ZaSu Trio in the summer of 2014, founded by violinist Cynthia Baehr and pianist Kumiko Uyeda. The trio formed into a piano quartet in 2016 with the addition of violist Eleanor Angel and our newest member Kristin Garbeff, cellist, joined our group in January of 2017. We strive to bring chamber music to people of all ages and backgrounds throughout the year. We are excited to be expanding the piano quartet repertoire by commissioning new works. Our first commission, inspired by the current immigration crisis, will be composed by the distinguished composer Chad Cannon.